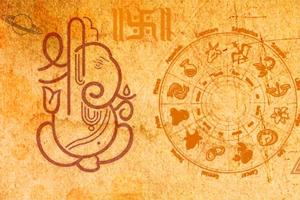 Baby Horoscope also known as Sishu Janma Patrika is a popular horoscope model for children. 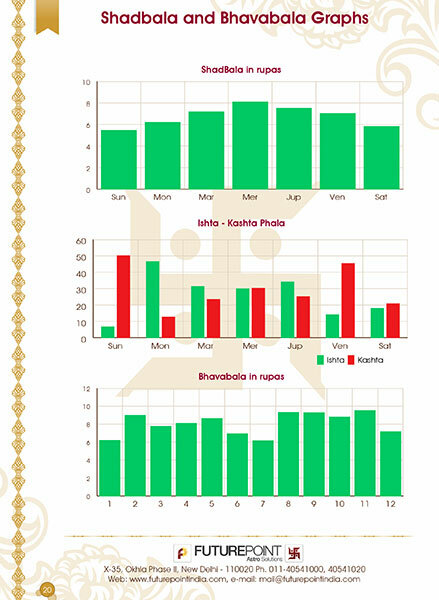 It is a 100 page report containing astrological calculations, predictions and remedies major like Gem, Rudraksha, Mantra and list of articles of donation. 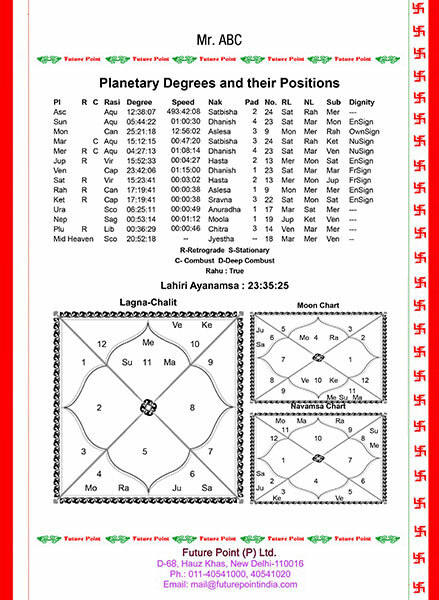 The numerological predictions have also be given in it. 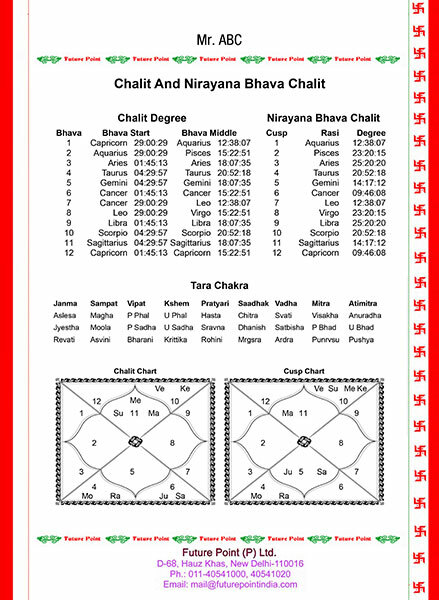 In addition it also contains Nakshatra prediction. This is an incomparable report for knowing about a child. 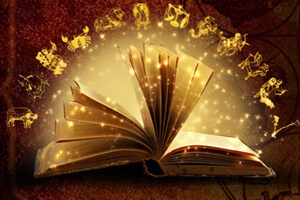 In Baby Horoscope along with predictions the comprehensive astrological calculations have also been given which are excellent for an astrologer to have an idea about the future. Why you need Baby Horoscope? 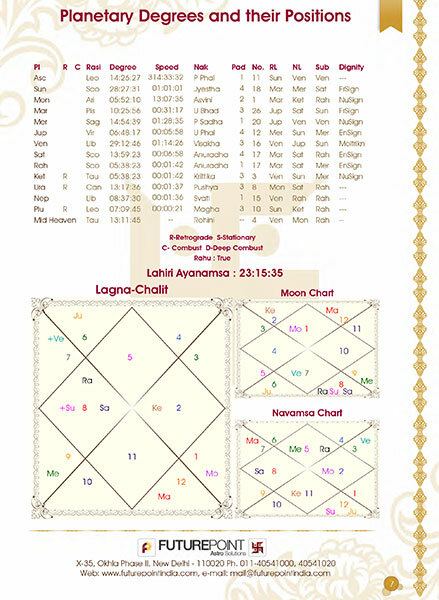 Baby Horoscope is a popular model of horoscope specially designed for children. It is a 100 page report containing calculations, predictions and remedies like useful Gem, Rudraksha, Mantra and list of articles of donation for you. 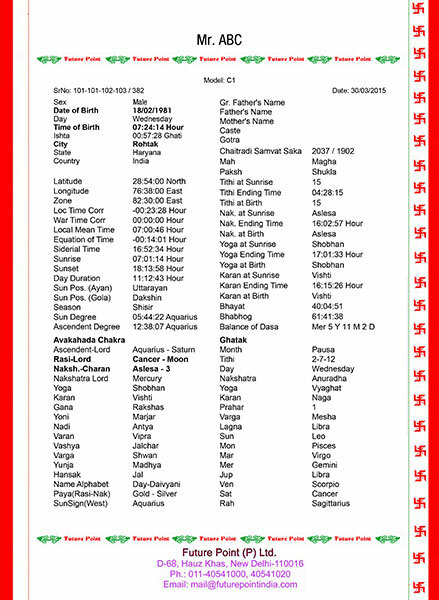 Important information like lucky day, lucky number, color, gem, deity, Mantra has also been included. 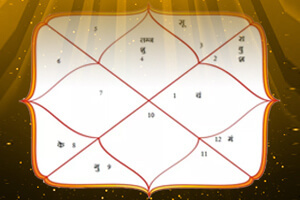 The unique results of various planets, houses, Nakshatra & Yogas have been discussed in detail. In Baby Horoscope along with predictions the comprehensive astrological calculations have also been given which are excellent for an astrologer to have an idea about the future of the child. 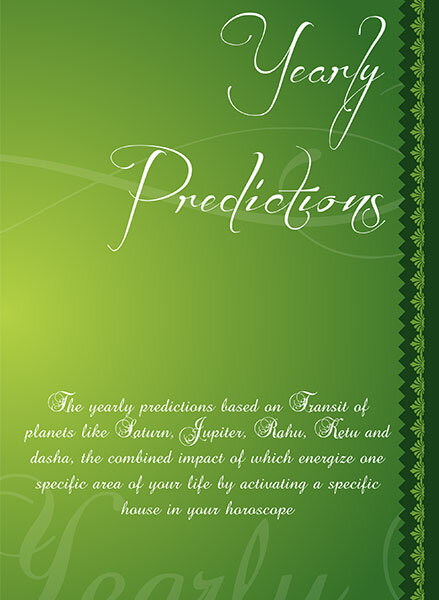 Predictions about various areas of life like health, personality, wealth, family, Profession, children, marriage, travel etc.